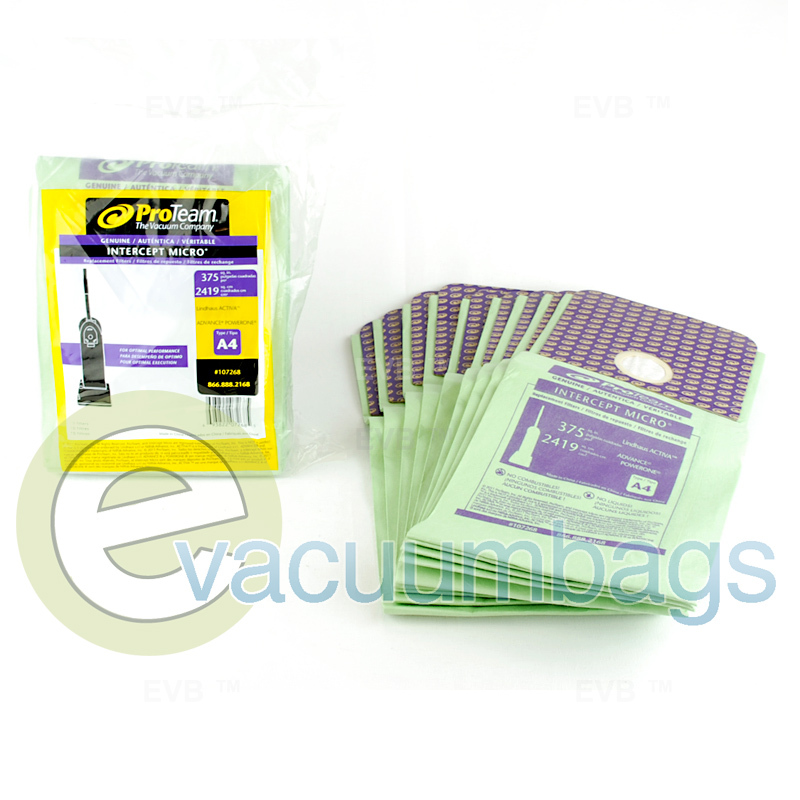 Genuine Lindhaus Activa Type A4 intercept micro vacuum bags, manufactured by ProTeam, designed to fit Lindhaus Activa (type A4) and Advance PowerOne upright model vacuums. 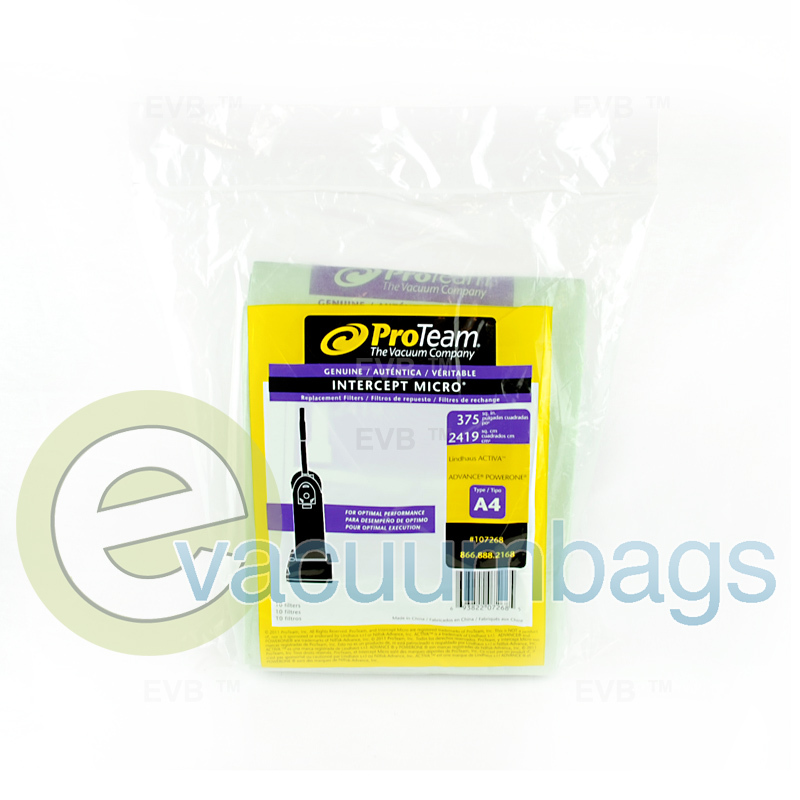 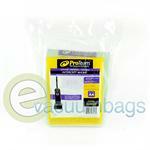 Also, fits Proteam Advance PowerOne vacuums. 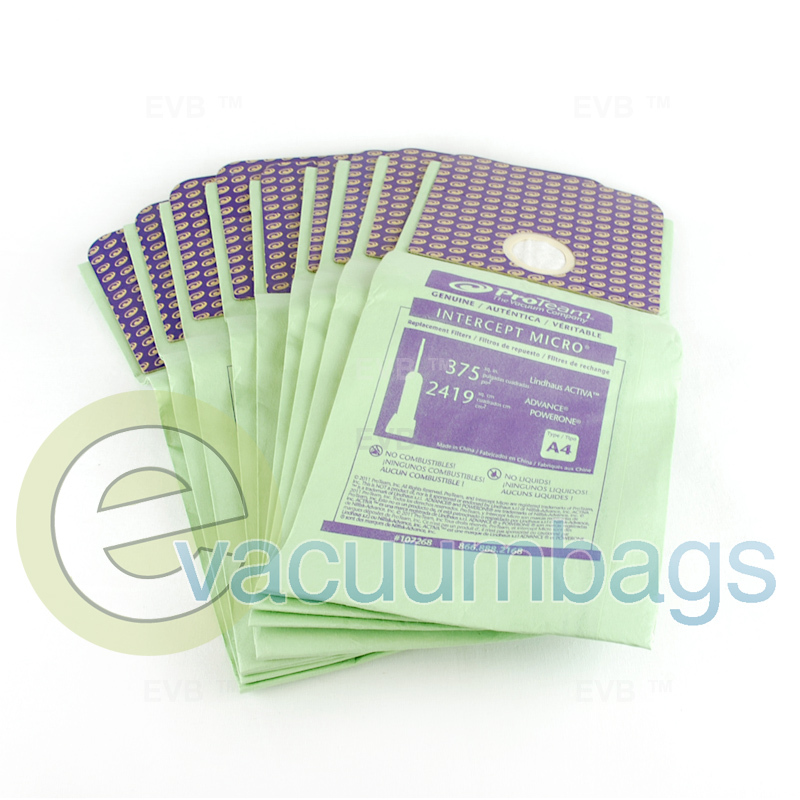 These bags have capacity of 375 square inches. Package contains 10 paper filter vacuum bags.